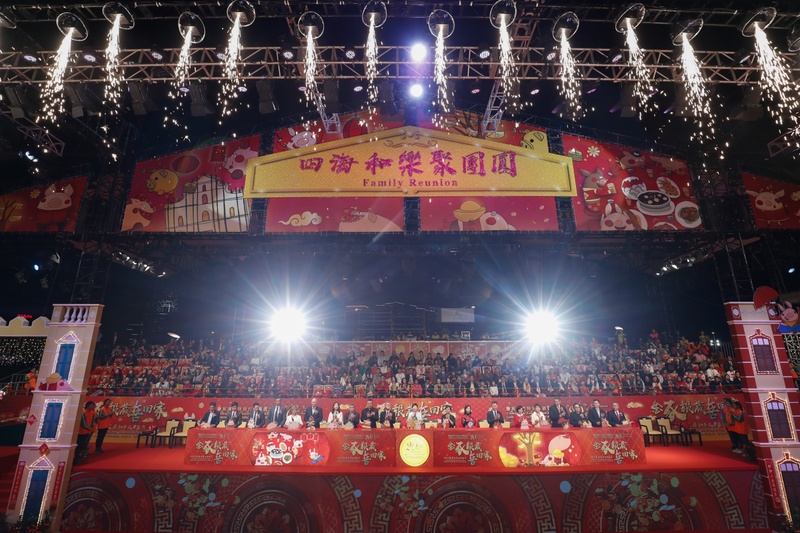 The mega celebration event for Chinese New Year – “Celebrations of the 20th Anniversary of the Establishment of the Macao Special Administrative Region – Parade for Celebration of the Year of the Pig” was unveiled in splendour this evening (7 February). 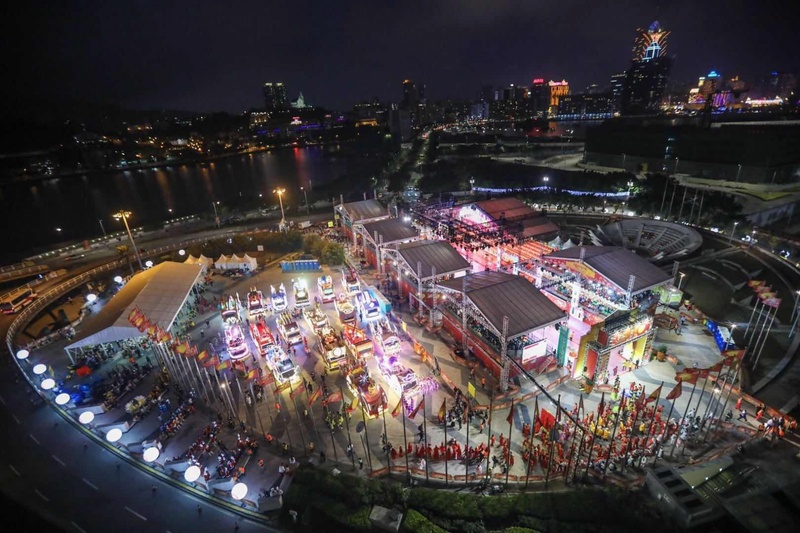 The event is a confluence of float parade, mega show, fireworks display, float exhibition and a newly-launched activity for audiences to vote for their favourite float, letting residents and visitors enjoy a fantastic, memorable and blissful Chinese New Year. The second float parade will march across the northern district on the 6th night of Lunar New Year (10 February) to fill the neighborhood with joyful celebrations. Organized by Macao Government Tourism Office (MGTO) and co-organized by Municipal Affairs Bureau, Cultural Affairs Bureau and Sports Bureau, the “Celebrations of the 20th Anniversary of the Establishment of the Macao Special Administrative Region – Parade for Celebration of the Year of the Pig” (the “Parade”) unveiled the first float parade tonight (7 February). Spouse of Chief Executive of the Macao SAR, Winnie Chui, Chief of Office of the Secretary for Social Affairs and Culture of the Macao Special Administrative Region Government, Ip Peng Kin, MGTO Director Maria Helena de Senna Fernandes, President of Administration Committee on Municipal Affairs of Municipal Affairs Bureau, José Tavares, President of Cultural Affairs Bureau, Mok Ian Ian, and President of Sports Bureau, Pun Weng Kun, officiated the kick-off ceremony together with other guests. As the Year of the Pig marks its beginning, MGTO has prepared a series of celebration activities for residents and visitors. 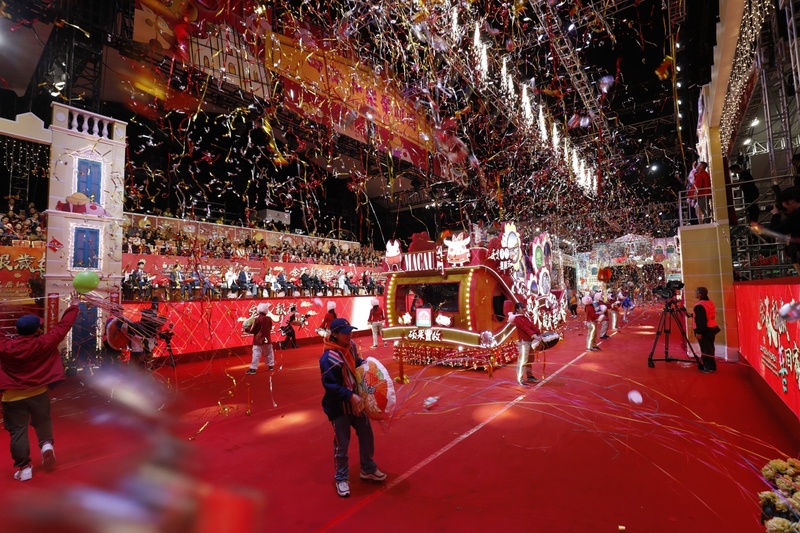 Staged tonight and on the 6th night of Lunar New Year, the Parade is not just a major extravaganza for Chinese New Year but also the first highlight presented by the Office to celebrate the 20th Anniversary of the Establishment of the Macao Special Administrative Region. 18 floats represent various auspicious dishes to serve in a feast for Chinese New Year. The floats marched forth alongside 32 performance groups composed of 800 performers, conveying good luck and best wishes including “five blessings descend upon the home”, “the phoenix appears”, “gold and silver fill the home”, “wishing you prosperity” and “fruitful harvest” to residents and visitors for a fruitful and wonderful year ahead. Same as in the past, the Parade enjoys wide popularity among residents and visitors. Cheers filled the air once each float and performance group passed before the spectator stands. Audiences scanned QR codes on floats they love to cast their vote in the “Favourite Parade Float Voting”. MGTO Director Senna Fernandes expressed that 2019 is the year to welcome the momentous milestone, the 20th Anniversary of the Establishment of the Macao Special Administrative Region. Macao Government Tourism Office will partner with other entities to stage an array of spectacular events, while continuously spicing various mega events and tourism activities with gastronomic elements, to carry on local culinary culture and deliver Macao’s charm as a Creative City of Gastronomy. The second float parade will unfold in the northern district on the 6th day of Lunar New Year (10 February). 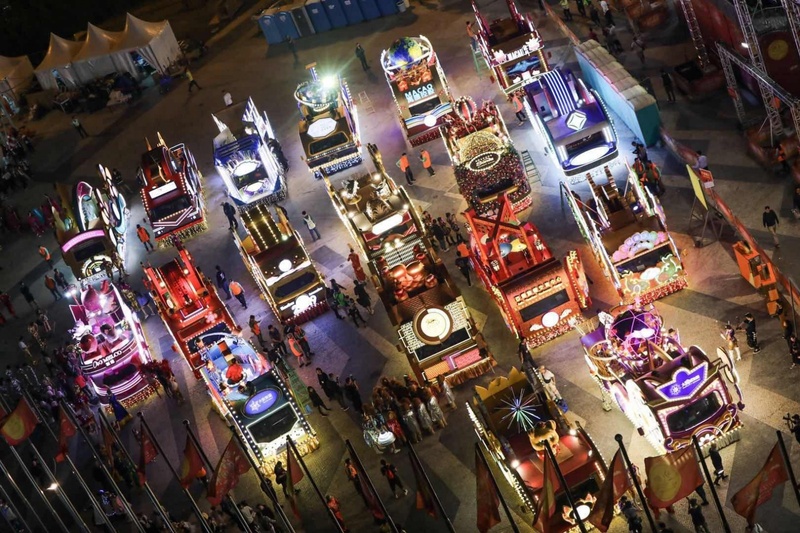 The splendid floats are showcased at the seafront of Macao Science Center from 7 February (10 p.m.) to 10 February (5 p.m.), and following that, on display at Tap Seac Square from 10 February (10 p.m.) until 17 February (6 p.m.). 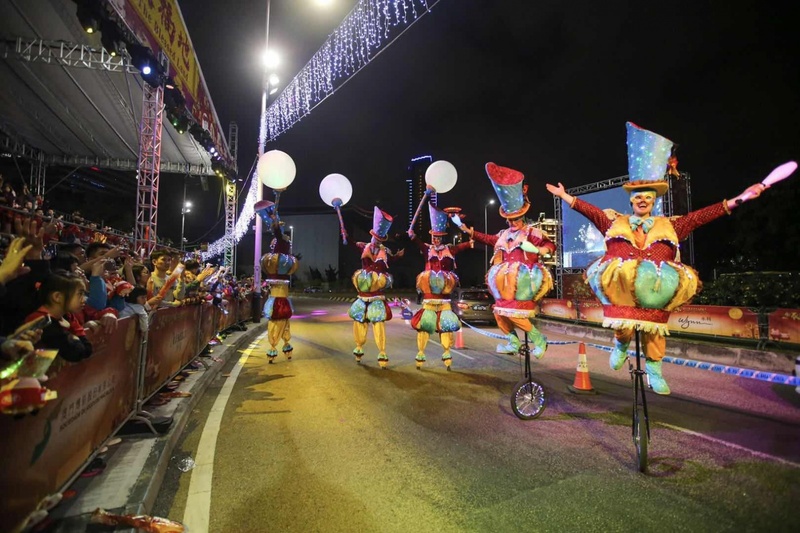 Residents and visitors can freely enjoy the sight of illuminated floats from 6 p.m. to 10 p.m. during the aforementioned periods (time schedule is adjusted on 7, 10 and 17 February because of the Parade).